An engine diagnostic is a test which is performed to learn more about why an engine is not functioning properly. 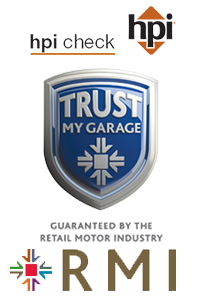 Here at Transport Repair Garage Engine diagnostics are performed by experienced mechanics with the proper equipment. The engine diagnostic is used to gather data which can be utilized in the repair of the vehicle, it can also be used during things like emissions testing, in which a car is checked to confirm that it adheres to emissions standards for vehicles in its class. Codes received from the Diagnostic machine can mean a wide variety of things; During an engine diagnostic, our mechanics determine what is causing each code to display, for the purpose of developing an estimate to let a driver know how much it will cost to address a problem effectively. Here at Transport Repair Garage we have the tools to diagnose car problems effectively saving you time and money. Using the most up to date equipment for mechanical and electrical fault finding on petrol and diesel engines. All our staff are fully trained technicians with main dealer experience and a training programme in place.